Here are a few books that I wanted to share with others that I can’t live without that I use with my first grade CCD class. They are posted in alphabetical order and I hope you find the information useful for your classroom or home. Crafts from your Favorite Bible Stories by Kathy Ross- Children will love to make the 27 creative and exciting crafts in this book that represent various stories from the Bible. 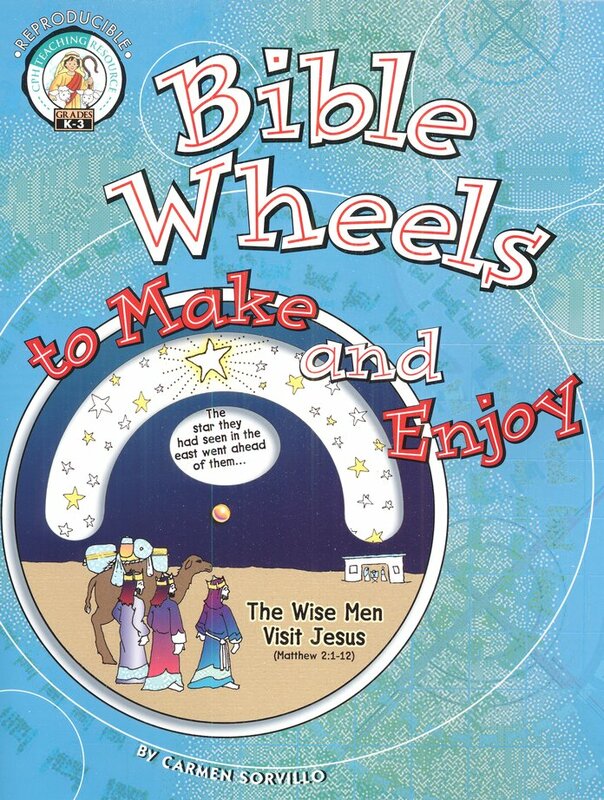 You will find this book filled with unique and innovative crafts that will capture your students attention and help reinforce Bible truths and stories for your elementary children. Older children can do these crafts with little or no help from adults, but for younger ones you will need to do some cutting prior to making the crafts. 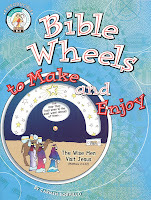 Each craft has a scripture listed and they are shown in colorful illustrations with clear step-by-step directions. Crafts include: Creation Wheel, The Tree of Knowledge, Noah's Ark, Sarah and Baby Isaac Puppet, Jacob's Ladder, Joseph Magnet, Moses in the Bulrushes Glove Puppet, The Parting of the Red Sea, Ram Horn Trumpet, Hair-Growing Samson, Hand Lamb, Elijah and the Ravens Puppets, Shadrach, Meshach, and Abednego in the Fiery Furnace, The Handwriting Appears on the Wall, Jonah in the Big Fish Puppet, Cardboard Tube Manger, Three Kings Hats, Turning Water Into Wine, Stand Up and Walk, A Basket With Five Loaves and Two Fishes, Jairus's Daughter Puppet, Jesus Walks on Water, A Story About Gratitude, Waving Palms, The Empty Tomb, Jesus Ascends, and Paul Over the Wall. I love Kathy Ross' craft books and her craft ideas are always the best. Each craft is thoroughly thought out and made from inexpensive materials that you can easily find. Her imaginative crafts make the Bible stories more concrete and easier for the students to understand and also a lot of fun. 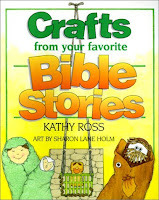 I do wish that the book contained patterns for the crafts, but I still think this is a fantastic Bible craft book and a must to have! Limited preview- To see some of the book. 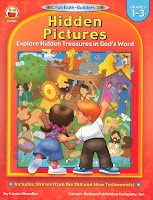 Hidden Pictures Explore Hidden Treasures in God’s Word: Grade 1 - 3 (Fun Faith-Builders) by Linda Standke- Children will absolutely love the fun and creative Bible story based hidden picture puzzles in this book! My students are just wild about hidden picture puzzles and ask for them every week at CCD. The students start these puzzles by looking up the scripture reference to answer the question about each story. Then they find and circle the story related items hidden in the picture. Each puzzle has a list of 8 items to find. To make it easier for the students, drawings of the 8 items are next to each word and these look exactly like the ones in the puzzle. 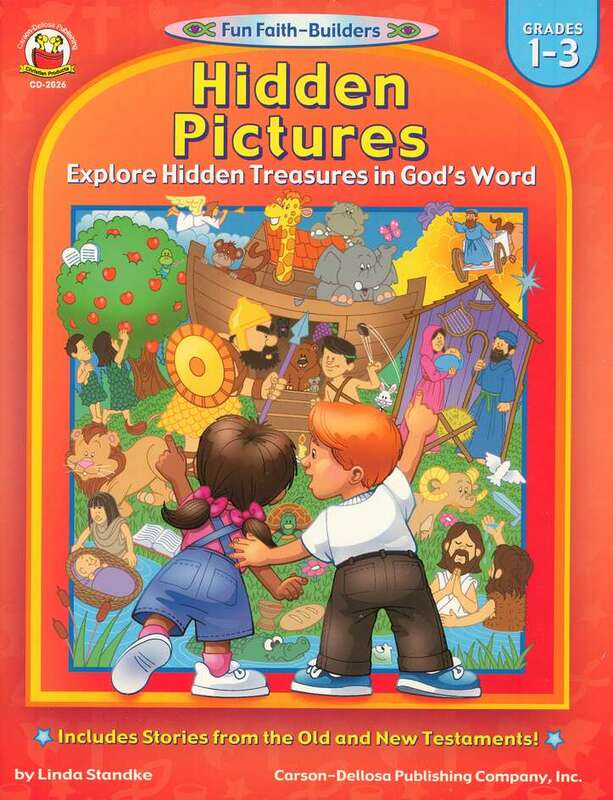 The book has 27 (13 Old and 14 New Testament) hidden picture puzzles and also an answer key for each. These hidden puzzles are a fantastic fill in activity for CCD or great to do just before the parents come to pick up their children. Click here to see some of the book then click on Sample. 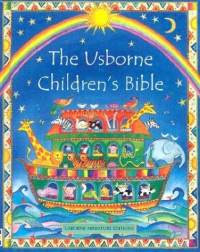 The Usborne Children's Bible by Heather Amery- A collection of 44 favorite Bible stories, all very accurate retellings from Scripture that are easy for children to understand and enjoy. The book is very colorful and has beautiful illustrations that children really enjoy.